Theodosia remains rare, even as Theo and Thea prepare to take over the playground. Thanks to Jerrika and Rachel for suggesting a our Baby Name of the Day. Dorothy sounds like a spunky Kansas farm girl, complete with ruby slippers and a little dog, too. Flip the elements of the name, and you’ll find the more sophisticated Theodora. Theodora belonged to more than one empress, and even a saint. Reach even farther back into the name archives, and you might stumble on today’s feature: Theodosia. Once again, the Byzantines give us royals and a saint by the name. The names interconnect. The -dor element refers to a gift; in Greek, -dosis means giving. In every case, the -theo element refers to God. But the style – and popularity – of the names varies greatly. Remember 1988’s For Keeps? Molly Ringwald played Darcy, a high school senior who finds herself with child – ages before Juno. She and boyfriend Stan decide to raise their daughter themselves. But shortly after Darcy delivers, she falls into a deep depression. Darcy: How could you name our baby Theodosia? Darcy: It sounds like a Greek fishing boat, or a crater on the moon or something! It turns out the name came from a beloved aunt on Stan’s side. They eventually call her Teddy, and all ends well. The name pops up sparingly over the centuries. In The Royal Master, a 1638 comedy by James Shirley, it’s the name of the King’s sister. 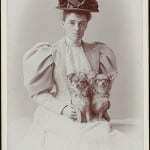 During the late eighteenth and early nineteenth centuries, the wealthy heiress and Countess of Clanwilliam answered to the name. The countess was named for an aunt. In the same era, Baptist hymn writer Anne Steele chose Theodosia as her oh-so-appropriate pen name. One reason the name might experience a revival circa 2017: Hamilton. The smash hit musical history of the Founding Fathers focuses on Alexander Hamilton, and his arch rival, Aaron Burr. Burr married Theodosia Bartow Prevost in 1782. A year later, they handed down her name to their daughter, but called her Theo. After Mrs. Burr’s demise, Theo became dad’s official hostess and remained loyal throughout the ups and downs of his political career. In 1801, she married wealthy South Carolina landowner Joseph Alston. In 1812, she sailed aboard the Patriot from South Carolina to New York. The ship was lost at sea, and stories about her fate continue to this day. But back to the early days, because Hamilton features a song called “Dear Theodosia,” a sweet lullaby from Aaron Burr to his newborn daughter. The same sentiments are echoed by Alexander Hamilton, singing to his new son, Philip. A handful of other literary and historical figures answer to the name. There’s one that might come to mind: Theda Barra. One of the twentieth century’s first screen sirens, Barra was born Theodosia Goodman. While she’s not as well-known as Marilyn Monroe or even Louise Brooks, Barra remains widely known. 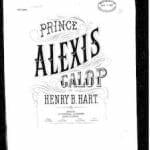 Back in the nineteenth century, the name cracked the US Top 1000 a handful of times. As of 2015, however, were than five girls received the name. Between the rise of the Theo- names, and our affection for Hamilton, doubtless a few parents will consider this long-neglected name. But for now, Thea remains the Theo name for girls to watch. Do you prefer Thea, Theodora, or Theodosia? This post was first published on November 23, 2009. Following substantial revision, it was reposted on April 19, 2017. 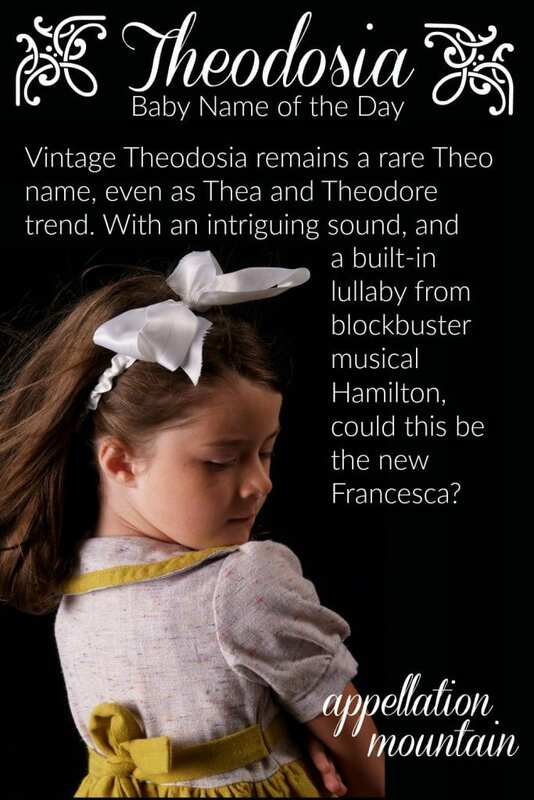 I am *NOT* one to use a name with a pop-culture connection….but I might make an exception for Theodosia. Fits with the antique style, and I doubt it will take off enough to stop it from being fairly unique. The only thing that would stop me is that ANYBODY who had heard Hamilton would think immediately of the musical – which I love, but that’s kind of like using a “Twilight” name a few years ago. I loved Alice but would not have used it then. What a fascinating question you’ve raised, Jamie! Here’s the thing about pop culture references – I think the reference matters tremendously. Twilight is YA fiction, a paranormal romance. It’s wildly popular, but not likely to stand the test of time. I’d put it in the same category as Rubik’s cubes and neon jelly bracelets from the 1980s. Fun and fabulous in its way, but not especially enduring. Hamilton strikes me as different for two reasons – first, it’s history, and Theodosia Burr has a fascinating life story. Second, Hamilton seems likely to be something my grandchildren will be seeing in revival. So it’s not quite like choosing a literary name (i.e. Cordelia) but neither is it like choosing a name from a soap opera. I don’t associate Alice with Twilight, though I’ve read the books. Stephenie Meyer has a real talent for choosing trending names! As I embark on my, oh, let’s say fiftieth? listen to the original cast recording of Hamilton, I wonder if featuring in two of the most touching songs of a Grammy-winning phenomenon will change the image of Theodosia. In “Wait For It,” Burr sings about his forbidden love for his future wife, Theodosia Prevost, at that time still married to a British officer, and in “Dear Theodosia,” about his hopes for their daughter’s future. They’re two of my favorite songs out of an incredible score, and after listening to them so many times, I have to say, the name is growing on me. Oh, I hope so – great show, great name! I know that Aaron Burr’s daughter was a Theodosia and that Theda Bara’s real name was Theodosia Burr Goodman. Does anyone have any insight as to if there is a connection between the names? It does not seem like it would be coincidental. Hi! I read your post today saying to comment on names that are not working, and this is one of them. I can only read the first line 🙁 I hope you can fix it! I’d love to read this one! Thank you! Thanks, Brianna – and she’s now fixed! You know, I think I actually quite like this name! I’d never use it, but I admire it from afar and would love to meet a little Theodosia some day. Dosia is a great nn, Rachel! And Theodosia is one of my mother-in-law’s middle names, too. It’s nice, if ornamental, but I’d take the contraction Theda in place of it and Theodora. Theda is still in the running for me although doesn’t work with my first middle name idea so well. Theda Juniper. Nah. I remember that movie very clearly! I loved it. However, if I were going to go with a Thea name, it would be Theadora. Still a bit clunky and old, but better than the fusty Theodosia. Neither is my ideal, though I like Thea pronounced TAY-a.